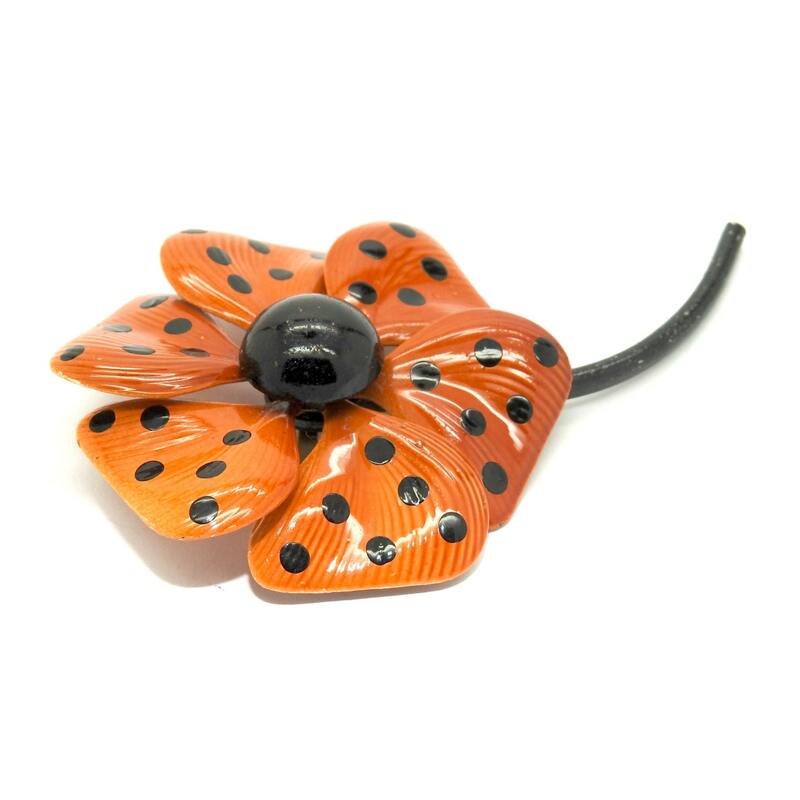 If you can’t live without flower jewelry, you will adore this enamel flower brooch pin. 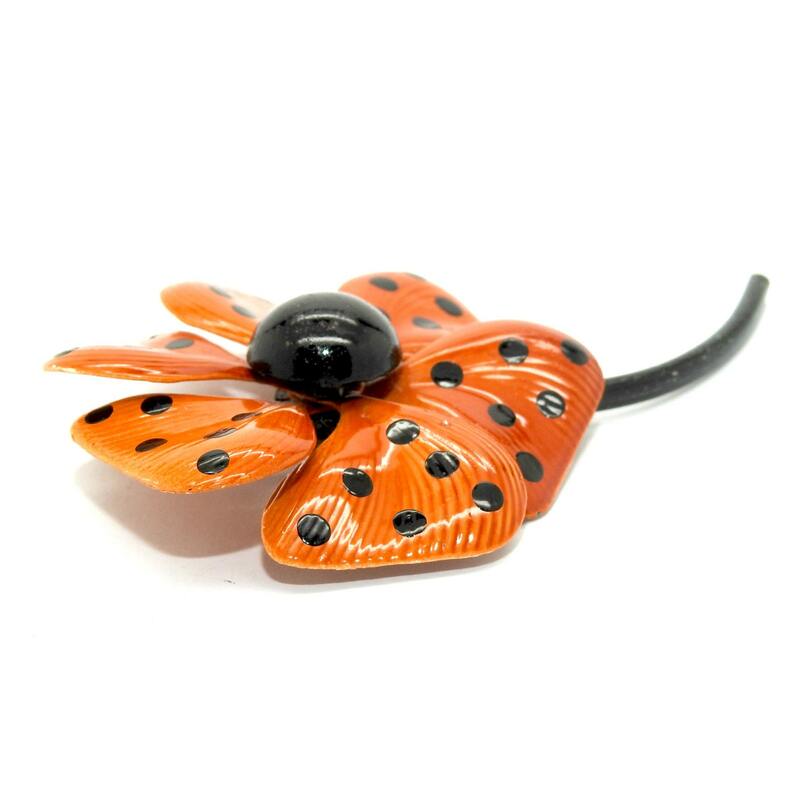 Looking for charming vintage jewelry pins brooches? 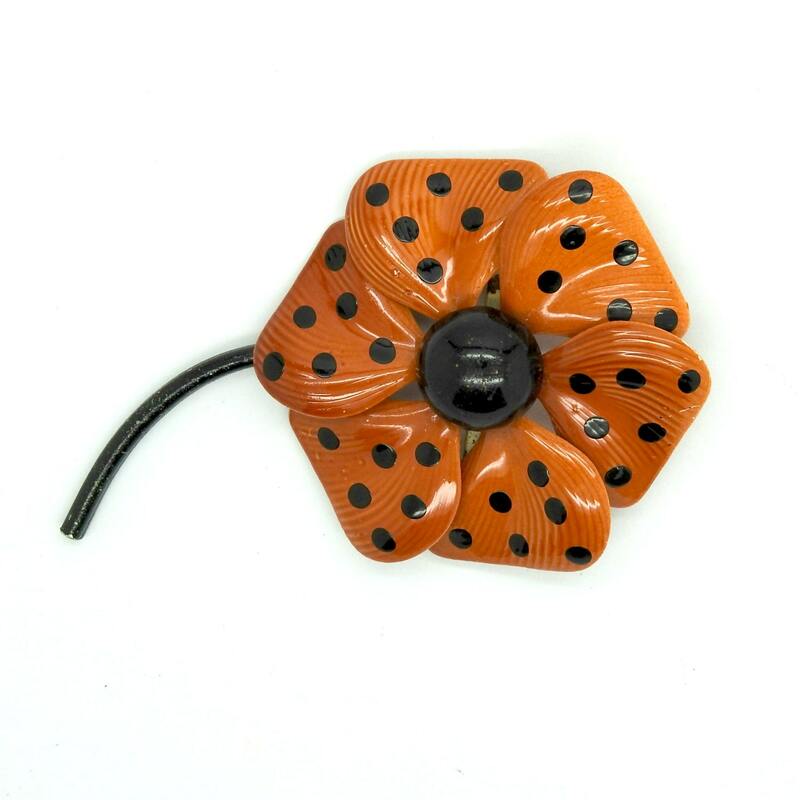 This brown and black Polka dots brooch will add a cute botanic touch to any of your outfits. ● Pin closure in fine working condition. ● Real vintage brooch 1950s 1960s, good overall condition. 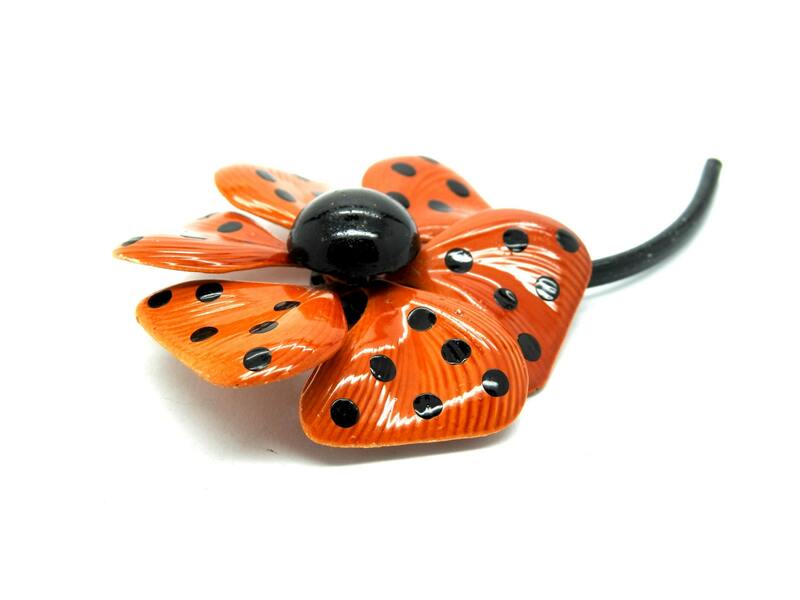 ● Looking for feminine and unique floral gifts and jewelry presents for women? Don't look any further, you will love this pretty vintage jewelry brooch. ● This is the perfect pin jewelry to make bouquet broaches. 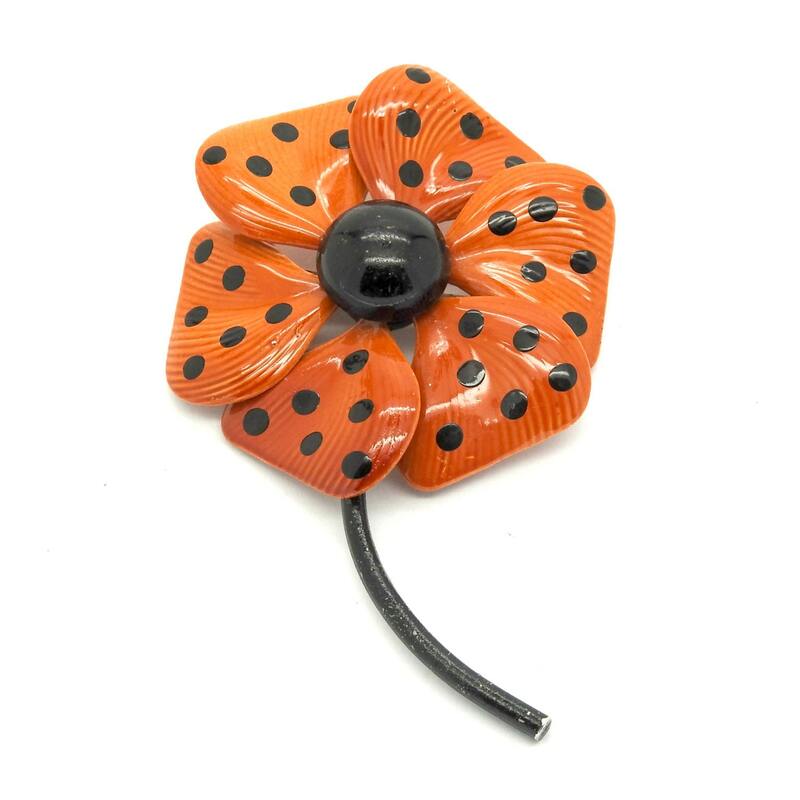 Thank you for your visit and for exploring this exquisite metal flower brooch.